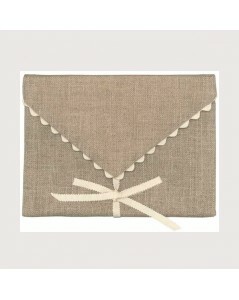 12 thread/cm evenweave linen with felt and white ribbon envelope. 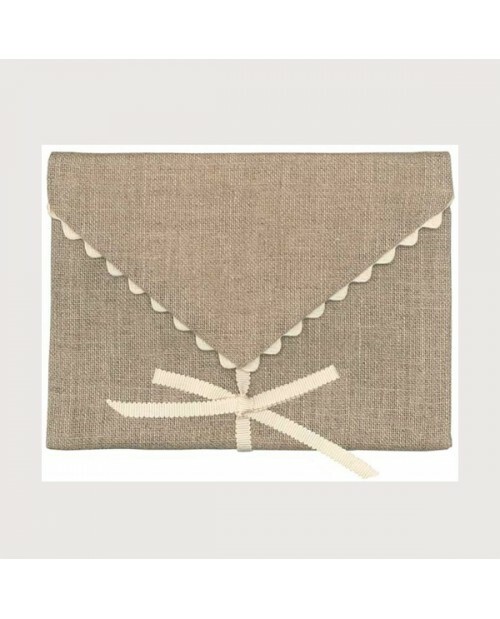 Colour: natural linen. Measures: 16 x 11 cm.